The “Tahir Elçi Human Rights Foundation” has been founded in the memory of late Diyarbakır Bar Association Chair Elçi, who was killed in the southeastern city in 2015. 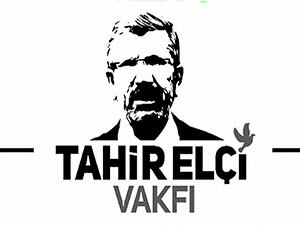 The Tahir Elçi Human Rights Foundation has been founded in the name of Tahir Elçi, the late chair of the Diyarbakır Bar Association who was killed on November 28, 2015. The foundation will operate in the mostly Kurdish-populated southeastern province of Diyarbakır, with Elçi’s wife, Türkan Elçi, acting as the board chair. Lawyer Neşet Girasun, a colleague of Elçi, will be the deputy board chair. The foundation will work on the social and political problems to be solved through peaceful methods. Along with Türkan Elçi, a large number of lawyers and the families of those who were killed in the Roboski Massacre attended the opening reception of the foundation. 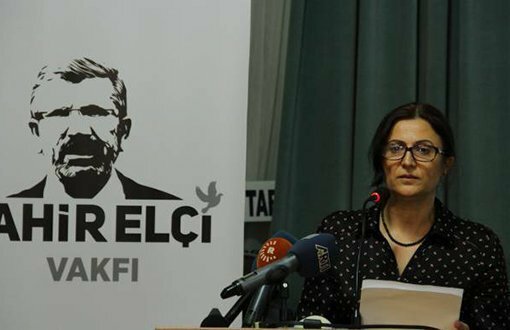 After a video that tells the legal struggle of Tahir Elçi was screened, Türkan Elçi made a statement and told about the aim of the foundation. “Like in different times in history, we witnessed rights violations, destruction of cities, recorded or unrecorded deaths that we have difficulties even talking about in the last few years. We too witnessed a pain that we will carry with ourselves until we die. “Despite everything, we tried to make a heart suffering inside courageous. We made it our aim for ourselves to found a foundation as a family to the pain inside us not turn into hatred and hate, on the contrary, to turn into a platform that is unifying and inclusive for all the parts of the society. Kürtçe İnsani ve Sosyal Bilimler Dergisi DERWAZE (3.sayı, Mart 2019) çıktı!